I think I can say, without a doubt, I've always been a less is more kinda gal. Now, my mother may not completely agree with me, and possibly remember a time when I wanted every.single.item that hit the sales floor at The Limited Too, however, since I've owned my own home, I've always preferred quality to quantity. Back to my morning routine; it starts in here, after coffee, naturally. 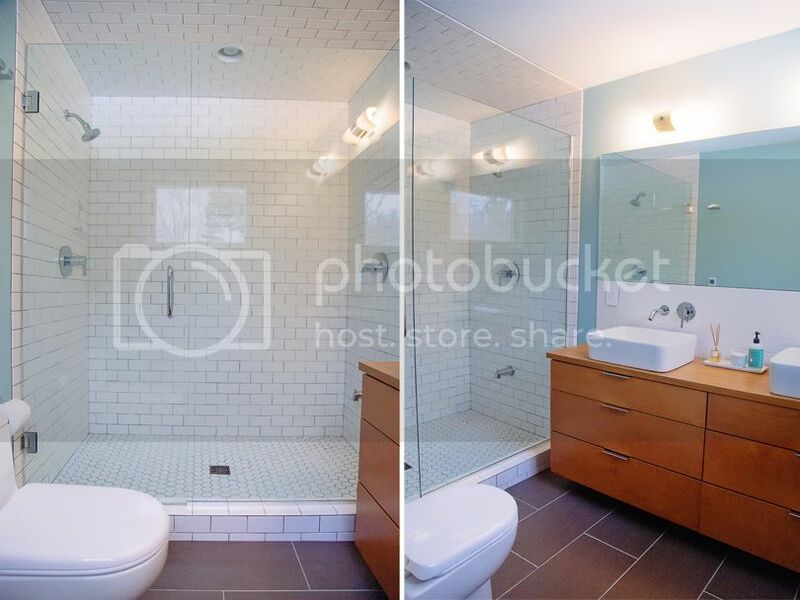 The master bathroom project was a big one, and when it was complete, we were left with this beautiful, sparkly white double shower, where before was the hallway door & the 1992 toilet. Nothing worth keeping, sadly. Since we had ventilation issues in our former bathroom, we even tiled the ceiling to make cleaning easier. The glass door was something we wanted to keep things simple & open in the tiny space, but it also meant you SAW EVERYTHING inside the shower. Ick. Greg's easy - he's a shampoo & body wash guy. I, however, operate on shampoo, conditioner, body wash, a comb, a razor, and a loofah. Lots of crap sitting around on the floor. Knowing this, I was on the lookout for something that would contain it all, but also look sleek & pretty. 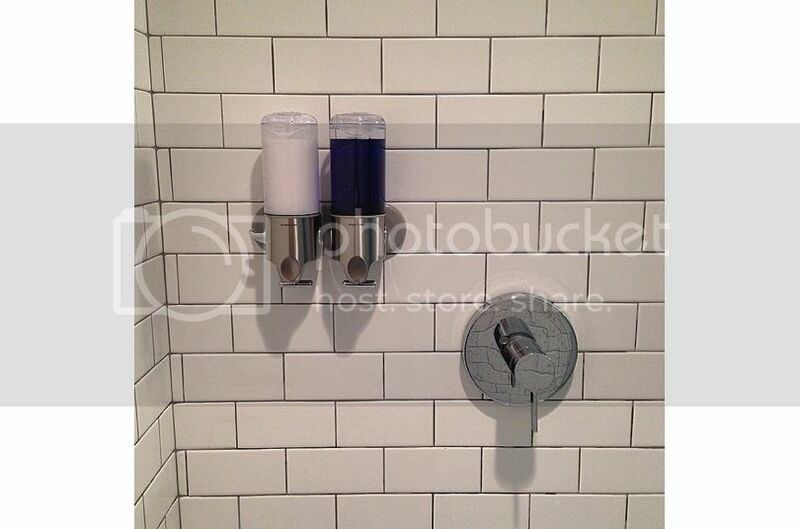 I didn't want to hang anything over the shower head that would eventually rust, so when I came across these Simple Human wall mount pumps (this is Greg's; mine has three and is on the other side of the shower) on Amazon, I felt like I hit the jackpot! I just installed these a couple of weeks ago and am kicking myself for not doing it sooner - ya know, we've lived here almost a year already! It was SUPER easy (I did it without Greg's assistance! ), and they look incredible. We eliminated all five bottles on the floor, my razor hangs from the side of mine, and I hang my comb from Greg's (not in the photo above). The loofah still hangs around the water lever, which is fine, but I'd love to figure something else out.